What's your take on folding screens? As of late, they keep popping up in various spaces that catch my eye. 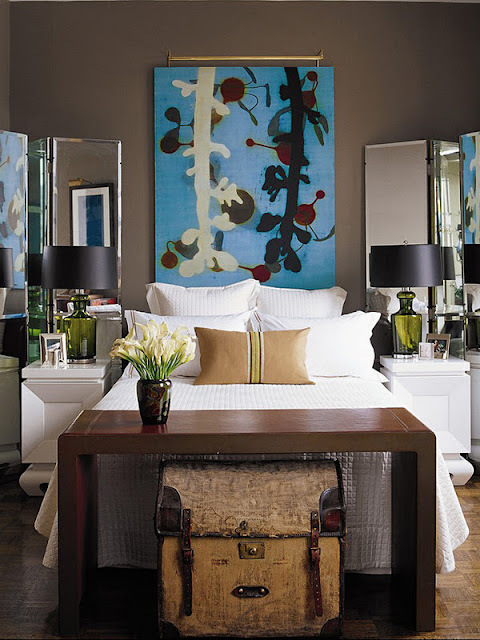 Folding screens, also known as room dividers, add height to any space and function both as furniture and as artwork. 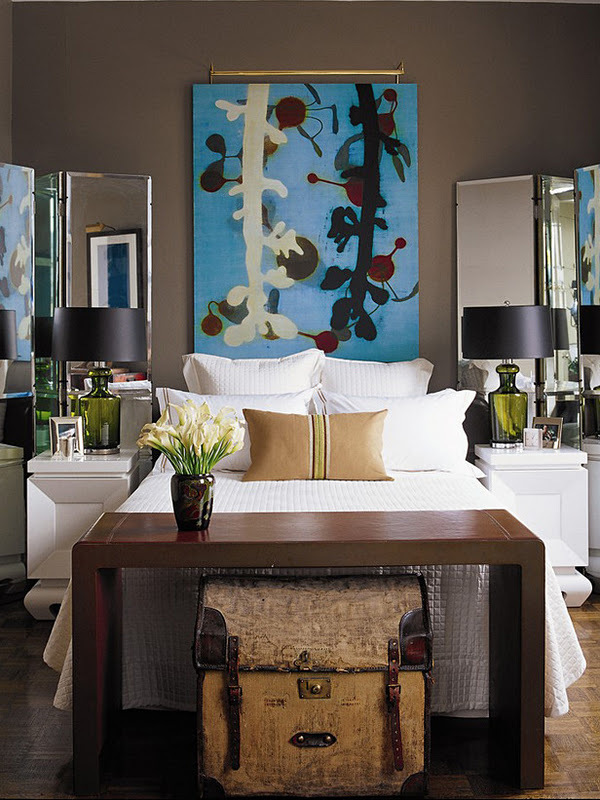 When mirrored, folding screens can buoy the brightness in any room. When upholstered, folding screens can soften the harshest of corners. 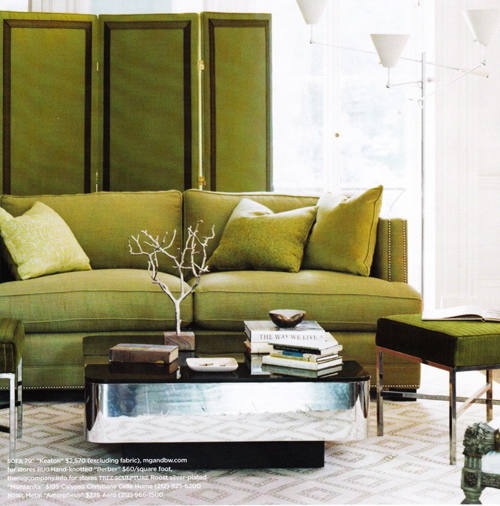 When lacquered, folding screens can mimic the glossiest fragment of sea glass. 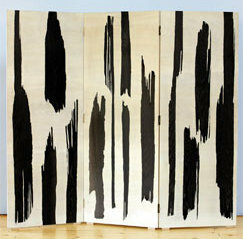 When painted, folding screens can double as large-scale abstract artwork. 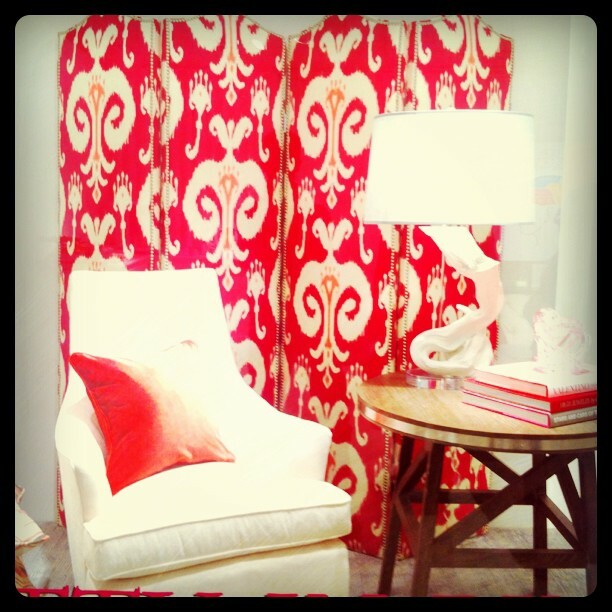 When ribboned, folding screens can complement the existing upholstery in a room. When caned, folding screens can recall the best of exotic vacations. 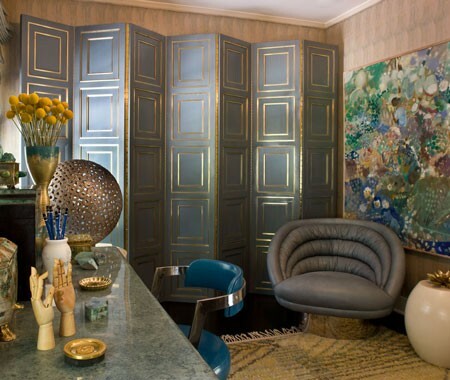 When paneled, folding screens can strike the ideal balance between Hollywood Regency and traditional styles. When stenciled, folding screens can introduce a handmade element to a space. 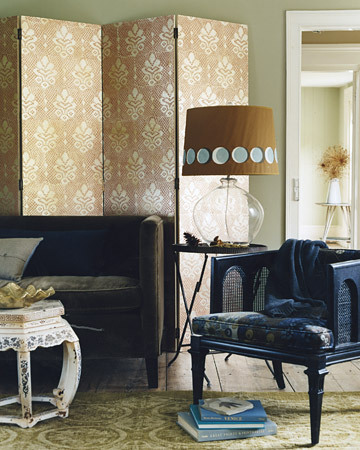 When patterned, folding screens can negate the need for wallpaper. 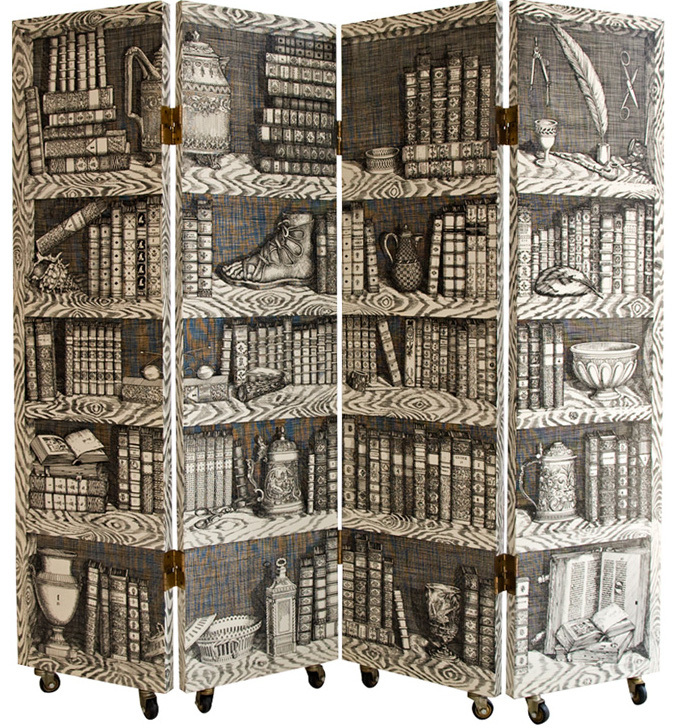 When decopauged, folding screens can fake an extensive book collection. 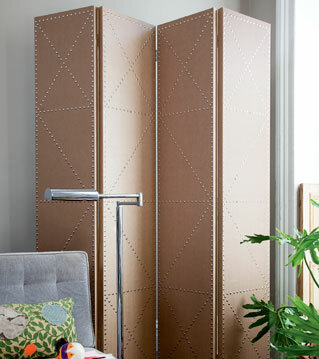 And, when DIY'd, folding screens can be whatever you want them to be. Folding screens can be a great many things; what function would you like one to serve in your home? This is something I'd never think to add to a room on my own, but a lot of these look like lovely additions. The hot pink ikat is so fun! LOVE that glossy blue one.... gorgeous! Sister Parish Chair and Ottoman Revealed! Visit Me at Loft & Cottage Today!